Protection and Indemnity Services Asia Ltd or PANDIASIA is a venture of Henderson Marine Bangladesh Ltd, the Bangladesh affiliate of Henderson International Group (www.hendersongroup.org). PANDIASIA was set up in September 2012 to separate the claim management activities of Henderson Bangladesh from its survey related activities to allow greater clarity to customers, clients and other stakeholders. 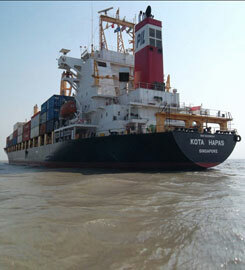 Henderson International Group has been operating in Bangladesh since 1998. The main focus of Henderson Bangladesh has been survey for the H&M and P&I industries as well for cargo underwriters and shipowners. However the brand equity of Henderson Group, embedded in the professionalism of the staff and management of Henderson Bangladesh, have encouraged many clients over the years to seek claim management services from the company. Henderson Bangladesh has become the preferred surveyor, average agents and claim management consultants for many H&M underwriters, and correspondent of fixed premium P&I underwriters. In addition Henderson Bangladesh has been providing correspondent services to IG Group P&I Club on a case by case basis for some time. These developments have encouraged the formation of a dedicated P&I Correspondent firm with focus on correspondent business with both commercial and legal focus. This legal separation between the instructing correspondent and the surveyor will ensure that always the best survey expertise can be procured and that the surveyors retain their independent identities.